If you’ve made the decision to have a skin exam by a dermatologist, congratulations! Seeing a doctor for a skin check is one of your best defenses against deadly melanoma skin cancer. But what should you expect during this type of exam? Let us walk you through a typical experience. The purpose of a skin care check by a dermatologist is to screen for skin cancers, including basal cell carcinomas, squamous cell carcinomas and melanomas. Come to your appointment with your hair down, and remove any nail polish and heavy makeup. You’ll be asked to undress and wear a gown. Before the exam begins, your doctor will likely ask if you have noticed anything concerning, such as a suspicious mole, a new mole, or other skin changes. Your doctor will also spend some time discussing your medical history and skin cancer risk. He or she may educate you on self skin care checks you can do at home. Next, your doctor will perform a head-to-toe examination of your skin, noting any areas of concern. Your dermatologist will screen for skin cancer on your scalp, face, the inside and outside of your mouth, trunk, back, buttocks, arms and hands, legs and feet (including the soles), eyes and eyelids, ears, fingers, toes, fingernails and toenails. Although you may assume skin cancer always occurs on skin that is regularly exposed to the sun, this is not the case. Skin cancer can develop in surprising places as well. Many patients wonder if the genital area is included in the exam. This depends on the doctor, so if you have any skin concerns involving the genital area, be sure to bring them up. If your dermatologist does not routinely screen the skin of this region, you can request it. If you do not wish to request this during your skin care check, it is a good idea to ask your gynecologist or urologist to look for suspicious growths in the genital area during those regular checkups. Trouble spots that would call the doctor’s attention include moles that exhibit the ABCDE warning signs, (i.e. asymmetry, odd coloring, jagged borders or large size); pink, pearly or rough bumps or open sores that don’t heal (these could be nonmelanoma skin cancers); or rough spots that could signal precancer. Anything that stands out as odd or different on your skin is a red flag as well. If you think your dermatologist is counting your moles during your skin exam, chances are you are right! People with more than 50 moles (or nevi, in medical terms) are at increased risk of developing melanoma, so your doctor will want to know if you fall into that category. What if my doctor finds something? If your doctor thinks a closer look at an area of the skin is warranted, he or she may use a dermatoscope. This small handheld device combines light and magnification to give a better view of a mole or suspicious growth that is difficult to see with the naked eye. If you do have a suspicious mole or growth, your dermatologist may be able to give you peace of mind right away. 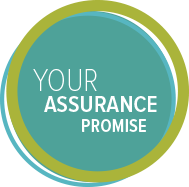 He or she may want to simply monitor you over time (and may photograph the area for comparison at a later date), or it may be determined that a biopsy is the best course of action. Different types of biopsies may be performed right then and there during your skin check. A local anesthetic will be injected into the site to numb the area. During a shave biopsy, a thin layer of the growth is shaved off. A punch biopsy uses a tool that resembles a very small cookie cutter to “punch out” deeper layers of skin for testing. During an incisional biopsy, a scalpel is used to remove part of a growth. During an excisional biopsy, the entire growth is removed. Most of the time sutures are not needed. The area is cauterized with an electrical current, and a dressing is applied. There may be a small amount of bleeding, and discomfort should be minimal. The biopsy is sent to the pathology lab, and you will generally have the results within a week or two. The actual skin care check takes about 20 minutes or so if no biopsies are performed. 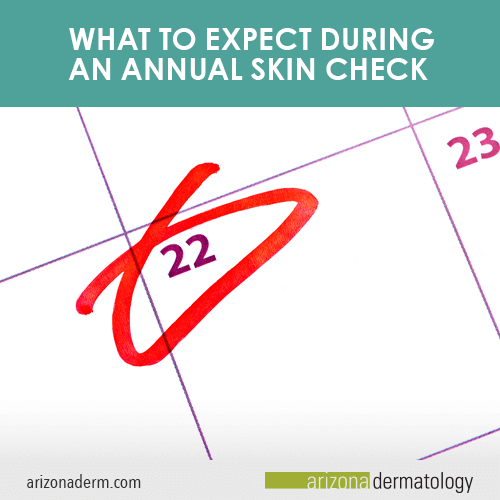 For most people, a skin care check once a year is enough. If you are at greater risk for skin cancer, or if your skin cancer screening turns up something suspicious, your dermatologist will develop a plan that meets your individual needs. It can give you peace of mind, which is terrific. Or it can save your life, which is even better.